Mobile Legends is an exciting 5v5 MOBA game on mobile devices. Similar to other MOBA games, when you play this game, your goal is to defeat your opponent’s base while protecting your own. Since this is a team game, you need to communicate effectively with your teammates and come up with a good plan. But with the small screen on your smartphones, you might be having trouble to do multitasking while concentrating on your gameplay. What if you could play using your computer? It would definitely make a difference. Check out the apps below and find how to play Mobile Legends on PC. 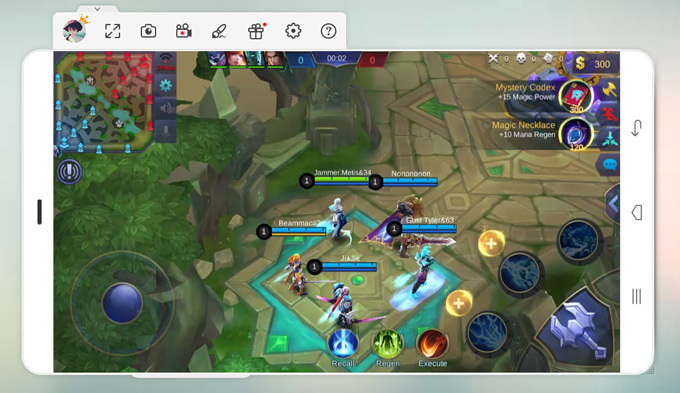 The first way to play Mobile Legends on PC is using ApowerMirror. This program is developed to help users mirror their Android or iOS devices to computers. It can stream contents on Android/iOS such as videos, pictures, music, and games to PC. On top of that, it enables you to control your Android devices with the help of mouse and keyboard. Furthermore, the app has built-in tools that are very useful for gamers. For instance, if you find an effective strategy, you may record it or take a screenshot to save it for sharing. Let’s see how to play Mobile Legends on PC using ApowerMirror. Visit the official website of ApowerMirror and click on the Download button to get the app. Launch the program and connect your Android phone to PC. Method 1: Via USB cable. 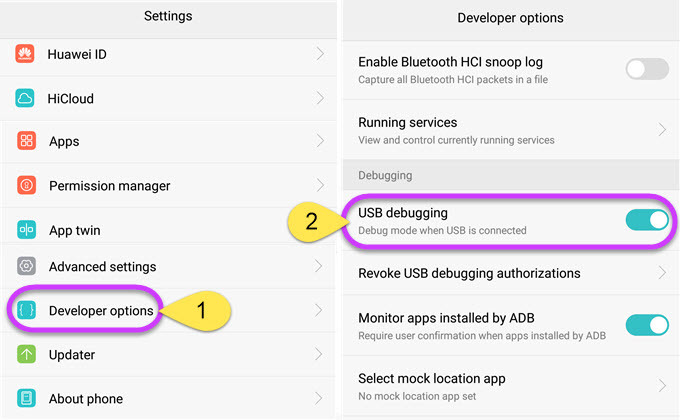 Go to Settings > Developer Options > USB debugging. Afterwards, use a USB cable to connect your phone to PC. Meanwhile, the ApowerMirror app will be downloaded to your phone automatically. After successfully connected, tap on “START NOW” to mirror your phone to PC and control your Android from PC. Method 2: Via WiFi. Get your phone and PC connected to the same WiFi network. 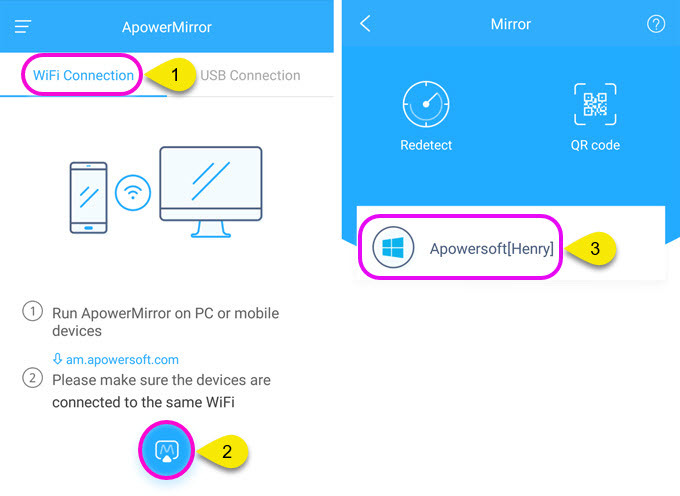 Afterwards, launch ApowerMirror app and click on the blue mirror button to search for devices. Then select your computer whose name begins with “Apowersoft”. Once done, open Mobile Legends and enjoy playing the game using your mouse and keyboard. Note: The control function only works for Android, but iOS users can stream Mobile Legends gameplay to PC as well. On your iPhone, open the control center by swiping up from the bottom of your devices. Afterwards, click on AirPlay/AirPlay Mirroring and choose the name beginning with “Apowersoft”. 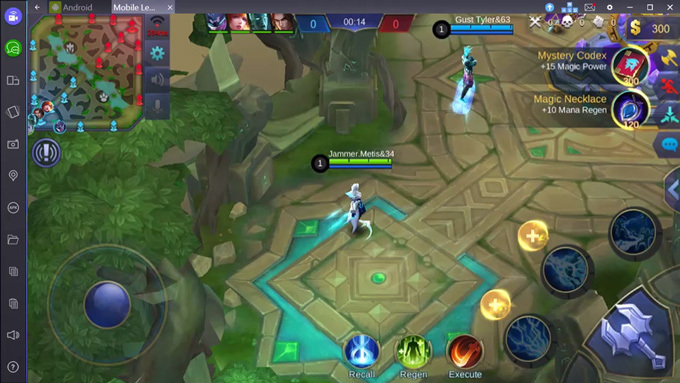 Then you can display Mobile Legends gameplay on a bigger screen. Here is a how-to video. Aside from mirroring applications, you may utilize Android emulators. One good example is MEmu. This free emulator provides Windows PC the ability to install and run Android applications. With this, you can install and play thousands of games from the Play Store including Mobile Legends. Just note that the app requires a computer with high performance, or you’ll suffer from a time-to-time lag as well as potential freezing of the program. 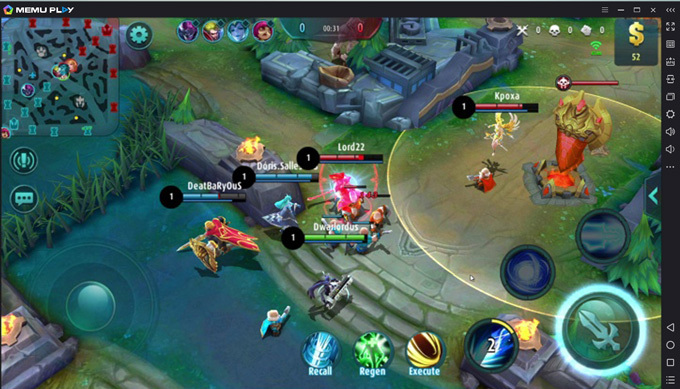 Now you can learn about how to install Mobile Legends on PC using an emulator. On your browser, search for MEmu, download and launch it on your computer. Once you are done setting up, choose your language and click on Install. Hit the Launch button and proceed to Google Play Store. From there, find Mobile Legends and install it. Configure your account then start your game. BlueStacks is another popular emulator that allows you to have a virtual Android device on Windows PC and Mac. Like MEmu, it is capable of running applications and games. So, you can use this when you want to play Mobile Legends on a wider screen. The advantage of this emulator is you may set it up using your Google Play account. Thus, all the games you installed under your old account will show on your new device. This might be a good alternative but note that it is slower compared to other similar apps. Besides, it affects your computer performance even when it’s not running. 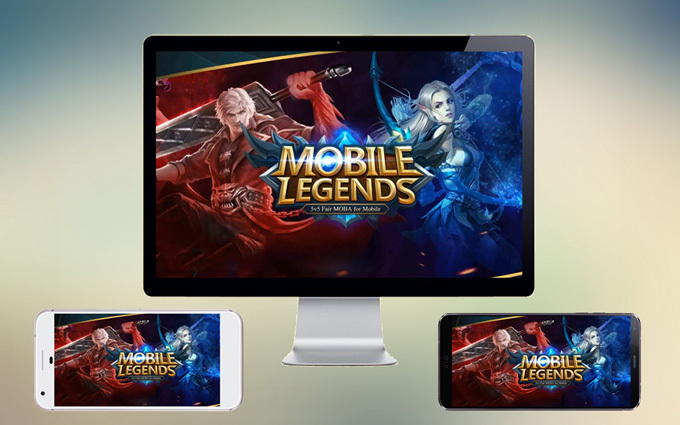 However, it’s still worth to know how to download Mobile Legends on PC with BlueStacks since this app is really popular on the market. Start off by installing the app on your computer. Sign in using your Google account to access Google Play Store. From the Store, search for Mobile Legends and hit the install button. Set the game just like how you do on real Android devices and start the game. These are the three practical ways that help you play Mobile Legends on the computer. From these, select the most suitable app for you to use. But if you want to save your time for configuring and setting up the applications, ApowerMirror should be the best choice. Apart from streaming and playing the mobile game directly on PC, you can communicate effectively with your teammates by using the mouse and keyboard. Furthermore, you can take screenshots and record the gameplay with one click whenever you want to. Rating: 4.2 / 5 (based on 58 ratings) Thanks for your rating!